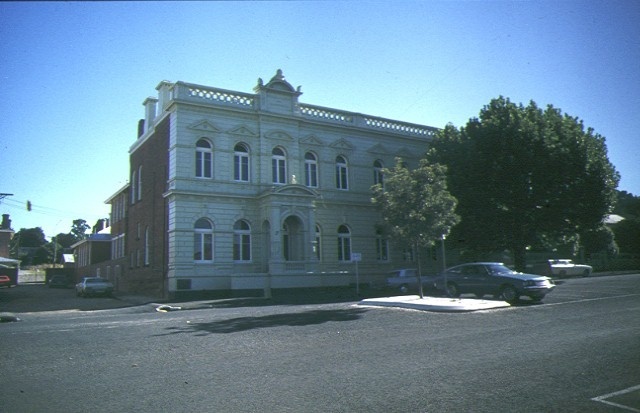 The foundation stone of the School of Mines, Castlemaine was laid on 18.12.1889 on the site of the old police court which had previously been used for classes. The architect was WC Vahland of Bendigo and the builder a Mr Dunstan. The school was built at a time when interest in applied science was high and its establishment also reflected the strong tradition of Mechanics? Institutes and mining schools many British migrants had brought to Victoria. Schools of mines were particularly popular in Victorian gold mining towns such as Bendigo, Ballarat and Castlemaine. The greatest enrolments were however in non-mining subjects as the school attempted to meet local demands and the needs of other industries. At the time it was opened the new building contained a laboratory, assay and balance rooms, art rooms, lecture hall, museum Library and offices. Classes were also held in telegraphy. The school initially operated under the supervision of the technological commission but when this was disbanded in 1890 it came under the control of the education department. 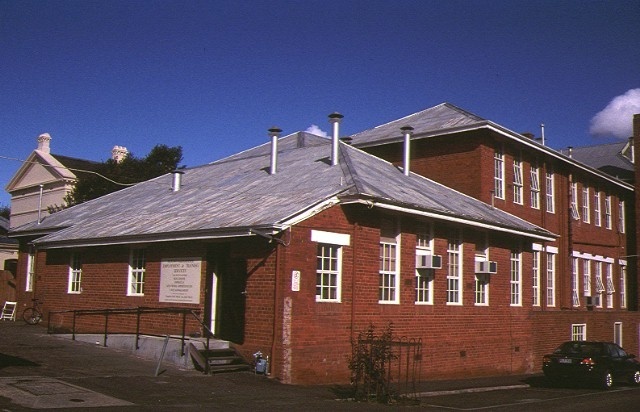 In 1926 the Castlemaine junior technical school was added to the rear of the building. Constructed of brick, the two-storey building has a rendered Italianate facade with a parapet. The vertical element through the facade is asymmetrically placed with a porch entrance in the lower storey and a pedimented tablet at parapet level. The windows all have semi circular arches and those in the upper storey, applied triangular pediments over them. The building was originally symmetrical about the front entrance and urns were located on the parapet. A further three bays were added in 1928, disrupting the symmetry. 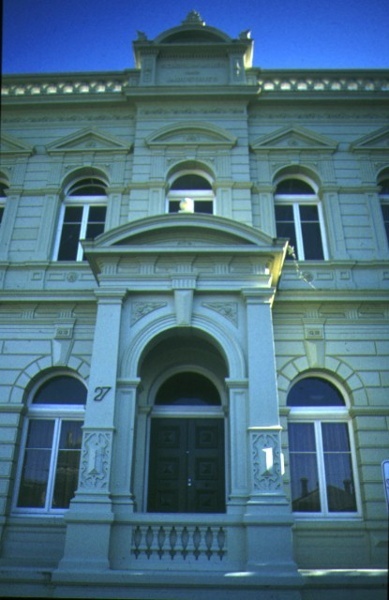 Vahland was an important and influential architect in the Bendigo district and the Castlemaine School of Mines shows typical elements of his style. The building is also significant as an example of the provision of technical education for men and women at a time when post- primary education was not generally available. 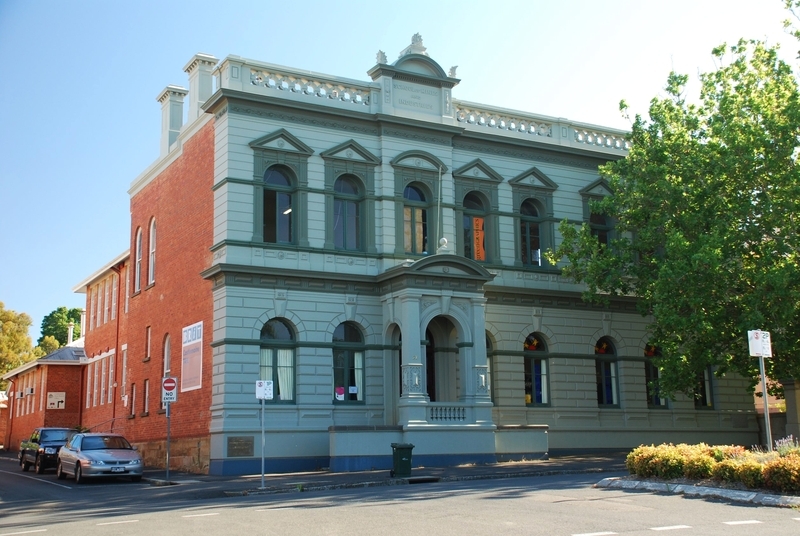 Former School of Mines, 27 Lyttleton Street, Castlemaine (the exterior of the building to the depth of the front wing).